According to a new report produced by the libertarian think tank, the Reason Foundation, the largest metropolitan areas with the most economic freedom are Houston, Texas, Tampa and Jacksonville, Florida, and Richmond, Virginia. The least economically free are Buffalo and Rochester, New York, and Riverside, California. The annual U.S. Metropolitan Area Economic Freedom Index ranks 382 metropolitan statistical areas (MSA) according to the level of their economic freedom. The Index takes into account population-driven differences between the largest metro areas and the smaller ones by dividing them into two groups. One group includes the 52 areas with 2012 population of one million or higher and the other group includes 330 areas with populations less than one million. The top ten in the first group includes four areas each in Texas and Florida, and one each in Virginia and Tennessee. The bottom ten includes three areas each in California and New York, two in Ohio, and one each in Oregon and Rhode Island. The smaller metro areas with the most economic freedom are Naples and Sebastian-Vero Beach, Florida, and Midland, Texas. The least free smaller metro areas are El Centro and Visalia-Porterville, California, and Kingston, New York. The Index measures three areas of economic freedom: government spending, taxation policy, and labor data, within which exist three variables each. Of the nine variables, the Index converted the raw data to be ranked according to a zero to ten score with ten representing the most economic freedom and zero representing the lowest. “Our findings imply that the policy recipe for a healthy local economy should include three key ingredients: 1. maintaining fiscal discipline by slowing spending growth; 2. reducing or eliminating income taxes; and 3. reducing labor market interventions such as minimum wages,” Stansel told Watchdog.org. The report found that metro areas with higher economic freedom “tend to have more prosperous economies,” Stansel added. For example, he points to the top 24 freest metropolitan areas, whose populations grew by 4.8 percent during the four most recent years analyzed. The areas that scored in the bottom 24 only saw a 1.2 percent growth over the same period of time. Likewise, per capita income was 5.7 percent above the metropolitan statistical area (MSA) average in these same 24 freest regions. Those in the least free 24 areas reported per capita income that was 4.9 percent below the MSA average. The Index also cites research at both the national and state level that associates economic freedom with many positive economic outcomes. 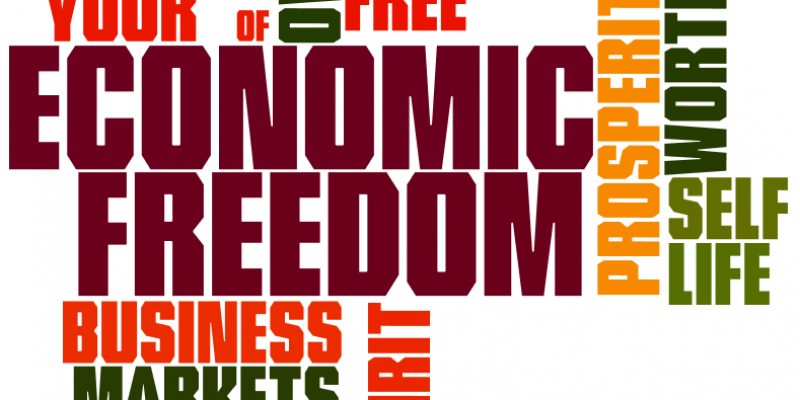 One study found a correlation between economic freedom and entrepreneurial activity, measured by new businesses created and non-farm employment. Another found the level and growth of per capita income, domestic migration, and female labor market participation were all positively associated with economic freedom. Additionally, recent research found higher economic freedom correlated “with higher local government credit ratings, more net in-migration of population, increased overall income, and increased per capita income,” the report states. The Index is an outworking of the Economic Freedom of the World report, which was the product of research conducted by Nobel Laureate economists Milton Friedman, Gary Becker, and Douglas North and other economists and public policy experts. More than 30 years ago they sought to quantify how free the economies of individual nations were. This article was first published on Watchdog.org. Next Article Did Any White Democrats NOT Wear Blackface In College?